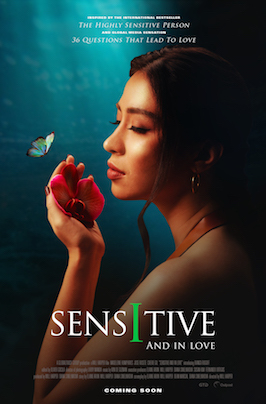 FAQ: You talk about DOES as a good way to summarize all the aspects of high sensitivity: Depth of processing, overstimulation, emotional responsivity/empathy, and sensitive to subtleties. But what is the evidence that these actually exist? You talk about DOES as a good way to summarize all the aspects of high sensitivity: Depth of processing, overstimulation, emotional responsivity/empathy, and sensitive to subtleties. But what is the evidence that these actually exist? 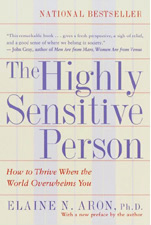 The answer to this is found in the new Author’s Note for The Highly Sensitive Person. This will not be in the book until it is reprinted again, but the entire note is on this PDF with the references for the phrases in bold. At the foundation of the trait of high sensitivity is the tendency to process information more deeply. When people are given a phone number and have no way to write it down, they will probably try to process it in some way in order to remember it, by repeating it many times, thinking of patterns or meanings in the digits, or noticing the numbers’ similarity to something else. If you don’t process it in some way you know you will forget it. HSPs simply process everything more, relating and comparing what they notice to their past experience with other similar things. They do it whether they are aware of it or not. When we decide without knowing how we came to that decision, we call this intuition, and HSPs have good (but not infallible!) intuition. When you make a decision consciously, you may notice that you are slower than others because you think over all the options so carefully. That’s depth of processing too. Research by Bianca Acevedo and her associates has shown more brain activation in HSPs than others in an area called the insula, a part of the brain that integrates moment to moment knowledge of inner states and emotions, bodily position, and outer events. Some have called it the seat of consciousness. If we are more aware of what is going around inside and outside, this would be exactly the result one would expect. If you are going to notice every little thing in a situation, and if the situation is complicated (many things to remember), intense (noisy, cluttered, etc. ), or goes on too long (a two-hour commute), it seems obvious that you will also have to wear out sooner from having to process so much. Others, not noticing much or any of what you have, will not tire as quickly. They may even think it quite strange that you find it too much to sightsee all day and go to a nightclub in the evening. They might talk blithely on when you need them to be quiet a moment so that you can have some time just to think, or they might enjoy an “energetic” restaurant or a party when you can hardly bear the noise. Indeed this is often the behavior we and others have noticed most—that HSPs are easily stressed by overstimulation (including social stimulation), or having learned their lesson, that they avoid intense situations more than others do. A recent study by Friederike Gerstenberg in Germany compared sensitive and non-sensitive people on a task of deciding whether or not a T turned in various ways was hidden among a great many Ls turned various ways on a computer screen. HSPs were faster and more accurate, but also more stressed than others after doing the task. Was it the perceptual effort or the emotional effect of being in the experiment? Whatever the reason, they were feeling stressed. Just as we say a piece of metal shows stress when it is overloaded, so do we. High sensitivity, however, is not mainly about being distressed by high levels of stimuli, as some have suggested, although that naturally happens when too much comes at us. Be careful not to mix up being an HSP with some problem condition: Sensory discomfort can by itself be a sign of disorder due to problems with sensory processing rather than having unusually good sensory processing. For example, sometimes persons with autistic spectrum disorders complain of sensory overload, but at other times they underreact. Their problem seems to be a difficulty recognizing where to focus attention and what to ignore. When speaking with someone, they may find the person’s face no more important to look at than the pattern on the floor or the type of light bulbs in the room. Naturally they can complain intensely about being overwhelmed by stimulation. They may even be more aware of subtleties, but in social situations especially they are more often noticing something irrelevant, whereas HSPs would be paying more attention to subtle facial expressions, at least when not overaroused. Data from surveys and experiments had already found some evidence that HSPs react more to both positive and negative experiences, but a series of studies done by Jadzia Jagiellowicz found that HSPs particularly react more than non-HSPs to pictures with a “positive valence.” This was even more true if they had had a good childhood. In her studies of the brain, this reaction to positive pictures was not only in the areas associated with the initial experience of strong emotions, but also in “higher” areas of thinking and perceiving, in some of the same areas as those found in the depth-of-processing brain studies. This stronger reaction to positive pictures being even more enchanced by a good childhood fits with a new concept suggested by Michael Pluess and Jay Belsky, the idea of “vantage sensitivity,” which they created in order to highlight the specific potential for sensitive people to benefit from positive circumstances and interventions. E is also for empathy. In another study, by Bianca Acevedo [the correct reference is Bianca P. Acevedo, B., Aron, E., Aron, A., Sangster, M., Collins, N., & Brown, L. (2014) The highly sensitive brain: An fMRI study of sensory processing sensitivity and response to others’ emotions. Brain and Behavior, 4, 580-594.] sensitive and non-sensitive persons looked at photos of both strangers and loved ones expressing happiness, sadness, or a neutral feeling. In all situations, when there was emotion in the photo, sensitive persons showed increased activation in the insula, but also more activity in their mirror neuron system, especially when looking at the happy faces of loved ones—again that greater responsiveness to the positive. The brain’s mirror neurons were only discovered in the last twenty years or so. When we are watching someone else do something or feel something, this clump of neurons fires in the same way as some of the neurons in the person we are observing. As an example, the same neurons fire, to varying degrees, whether we are kicking a soccer ball, see someone else kicking a soccer ball, hear the sound of someone kicking a soccer ball, or hear or say the word “kick.” Not only do these amazing neurons help us learn through imitation, but in conjunction with the other areas of the brain that were especially active for HSPs, they help us know others’ intentions and how they feel. Hence they are largely responsible for the universal human capacity for empathy. We do not just know how someone else feels, but actually feel that way ourselves to some extent. This is very familiar to sensitive people. Anyone’s sad faces tended to generate more activity in these mirror neurons in HSPs than others. When seeing photos of their loved ones being unhappy, sensitive persons also showed more activation in areas suggesting they wanted to do something, to act, even more than in areas involving empathy (perhaps we learn to cool down our intense empathy in order to help). But overall, brain activation indicating empathy was stronger in HSPs than non-HSPs when looking at photos of faces showing strong emotion of any type. There is a common misunderstanding that emotions cause us to think illogically. But recent scientific thinking, reviewed by psychologist Roy Baumeister and his colleagues, has placed emotion at the center of wisdom. One reason is that most emotion is felt after an event, which apparently serves to help us remember what happened and learn from it. The more upset we are by a mistake, the more we think about it and will be able to avoid it the next time. The more delighted we are by a success, the more we think and talk about it and how we did it, causing us to be more likely to be able to repeat it. Other studies discussed by Baumeister that explore the contribution of emotion to clear thinking find that unless people have some emotional reason to learn something, they do not learn it very well or at all. This is one reason why it is easier to learn a foreign language in the country where it is spoken—we are highly motivated to find our way, converse when spoken to, and generally not seem foolish. From this point of view, it would seem almost impossible for a highly sensitive person to process things deeply without having stronger emotional reactions to motivate them. And remember, when HSPs react more, it is as much or more to positive emotions, such as curiosity, anticipation of success (using that short cut others don’t know about), a pleasant desire for something, satisfaction, joy, contentedness. Perhaps everyone reacts strongly to negative situations, but maybe HSPs have evolved so that we especially relish a good outcome and figure out more than others how to make it happen. I imagine that we can plan an especially good birthday celebration, anticipating the happiness it will bring. Most of the studies already cited required perceiving subtleties. This is often what is most noticeable to us personally, the little things we notice that others miss. Given that, and because I called the trait high sensitivity, many have thought this is the heart of the trait. (To correct this confusion and emphasize the role of processing, we used “sensory processing sensitivity” as its more formal, scientific designation.) However, this trait is not so much about extraordinary senses—after all, there are sensitive people who have poor eyesight or hearing. True, some sensitive people report that one or more senses are very acute, but even in these cases it could be that they process the sensory information more carefully rather than having something unusual about their eyes, nose, skin, taste buds, or ears. Again, the brain areas that are more active when sensitive people perceive are those that do the more complex processing of sensory information. Not so much the areas that recognize alphabet letters by their shape or even that read words, but the areas that catch the subtle meaning of words. Our awareness of subtleties is useful in an infinite number of ways, from simple pleasure in life to strategizing our response based on our awareness of others’ nonverbal cues (that they may have no idea they are giving off) about their mood or trustworthiness. Of course, on the other hand, when we are worn out we may be the least aware of anything, subtle or gross, except our own need for a break.